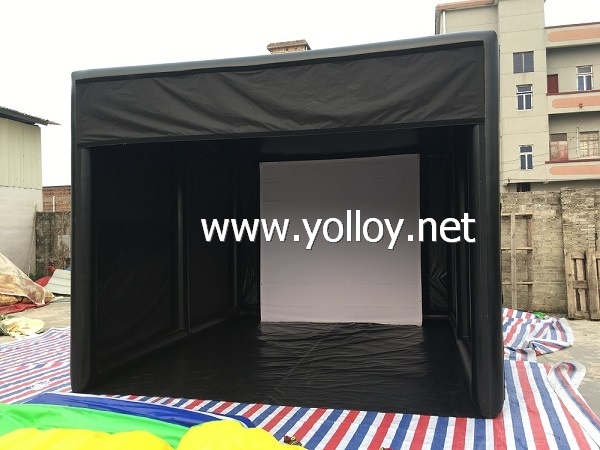 Nowadays,the inflatable golf tent is become more and more popular product in our life. It help to refine players’ skill in the key components of golf: Driving, pitching, putting. Our inflatable golf tent can help the golfer and trainer identify and refine the smallest of details in your swing. Our putting ranges help you keep your score down by improving accuracy and ability. Customized making is also available. We can print your logo, slogan or other messages on the tent. Just give us your idea or design, and we will make it to the real inflatable product! 1. Send us inquiry or provide your demand by email or call us directly. 2. The quotation will be sent to you within 12 hours after we received your inquiry. 3. Our sales will send you invoice for order confirmation after all details confirmed. 4. You should arrange deposit ( regularly 50% ) by T/T, Western Union or Money Gram. 5. The products pictures will be sent to you after finished the production. 6. We will arrange the shipment for you after received your balanced payment.